Cochrane is a big defenseman who has seen plenty of ice time as Brantford only carries five players on the backend. For a bigger player, Cochrane moves very well and uses his combination of size and speed to keep players to the outside. He plays more of a defensive game and there is room to increase his offensive production. Cochrane should get plenty of exposure as the 99ers are poised for a deep run into the postseason. If a player rankings were done six weeks into the season, Jordan D’Intino probably would have been very high on many lists. An unfortunate injury as shelved him for more than two months now but it appears as though he is prime for a return. Prior to his departure, he had a higher PPG average than teammate Brett Harrison. Lots of questions remain, but plenty of answers are on the horizon. Quietly one of the better offensive players in the league, Bowman has been a player that the Kitchener coaching staff has leaned on heavily in many different situations. While he’s got a knack for putting the puck in the net, it is his play in the offensive zone and overall vision that makes him a valuable player. He may be overshadowed by others on the team, but Bowman is a key piece to the recent success of the Jr. Rangers. The Lakers centre has been the engine that keeps their offense moving. His strongest aspect of his game is his skating and ability to thread passes on a dime. Melady started the year by leading the team in goal scoring, but his since taken on the role of playmaker and facilitator. His offensive output also can’t overshadow his play in the defensive end where he has improved into a solid two-way player. Hamlin got off to a rough start to the year as he missed some action, but the Windsor centre has really started to bring his game back to life in the past few weeks. The Jr. Spitfires captain plays a very physical game and likes to grind away in the corners and along the boards. Hamlin doesn’t have game breaking speed, but uses his positioning and IQ to always keep himself in the best position possible. One player who probably gets overshadowed the most by others is Mazza, who has been key in the resurgence of the Cyclones over the past couple of months. While he won’t score many highlight reel goals, Mazza picks his spots carefully and makes smart decisions in the offensive zone. Quietly has become one of only four skaters to crack the 20 goal plateau so far this year. Creativity is the word I would use to describe the game of Maloney. Very good stick handling and puck control allows Maloney to bring the puck up the ice or from the corners and get into prime scoring positions. Not a very big forward, Maloney’s speed gives him an advantage and also allows him to recover when the creativity backfires. One of my favourite defenseman in the league, Hislop is one of the best offensive defenseman in the Alliance. Never one to shy away from joining the rush, Hislop has great accuracy with his shot. He is able to slow down the play in his own zone and rarely makes bad passes out. His ability to hit streaking forwards with the stretch pass has given the Wolves a big weapon on the back end. One of the best pure goal scorers in the league this season, Daigle started the year like a bat out of hell, leading the league in goals through the opening month of the season. While that pace has certainly slowed down, the threat of Daigle on the ice has not disappeared. His puck control in close allows Daigle to maneuver tight spots and find room for his shot. Could see a big jump if defensive and neutral zone play increase to his scoring capabilities. Eaton came over from Sun County this season and has been a big part of what Windsor has been able to accomplish this season. Eaton is solid in all aspects of his game and when in the lineup, has been relied upon heavily by the Jr. Spitfires coaching staff. Offensively, Eaton has a knack for making quick decisions and his accurate passing allows him success in that field. With a full lineup together, it will be interesting to see what Eaton can accomplish. Christian Kyrou (Elgin-Middlesex Chiefs) – Hasn’t had as big an impact on Chiefs as hoped, but still a threat to take the puck and go. Josh Cyrenne (Sun County Panthers) – Has the size and shot to make a difference, but questions remain whether he can keep up with the speed at the next level. Keegan Damota (Brantford 99ers) – Slow start but has come alive since November. One of the fastest forwards in the Alliance when he has the puck. 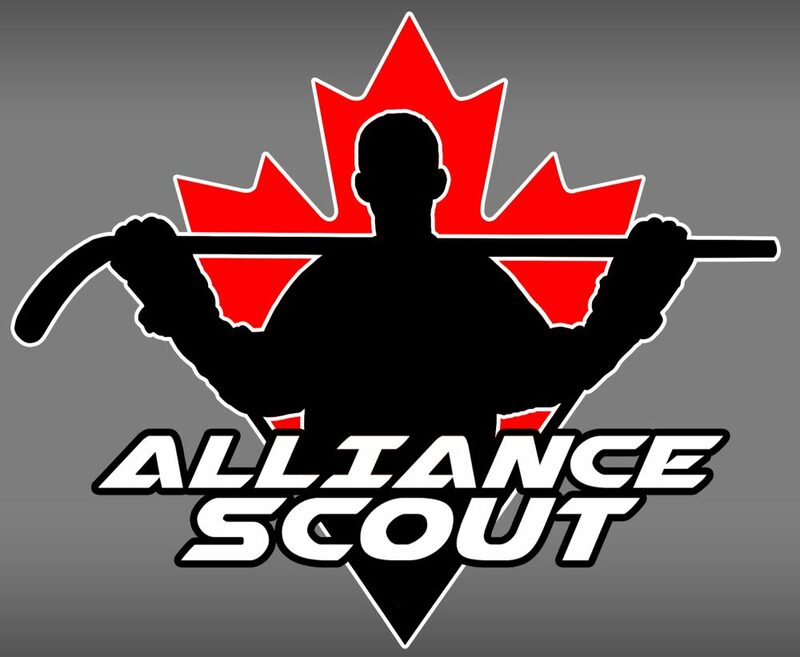 This entry was posted in Alliance Hockey, Alliance Rankings, Brantford 99ers, Chatham-Kent Cyclones, Elgin-Middlesex Chiefs, Huron-Perth Lakers, Kitchener Jr. Rangers, London Jr. Knights, ohl draft, Sun County Panthers, Waterloo Wolves, Windsor Jr. Spitfires and tagged 2019 ohl draft, Alliance Rankings, braeden bowman, brayden hislop, camden daigle, Chatham-Kent Cyclones, christian kyrou, cole melady, elgin-middlesex chiefs, Huron-Perth Lakers, jake eaton, jonah cochrane, jordan d'intino, josh cyrenne, keegan damota, Kitchener Jr. Rangers, kyle maloney, london jr. knights, luc brzustowski, nicholas mazza, ohl draft, ray hamlin, sun county panthers, waterloo wolves, windsor jr. spitfires by Dave Coulson. Bookmark the permalink.